Scuba diving- a sport like no other. Fantastic visuell impressions and nature experience. Be it right at our doorstep – the often icy waters of Brandenburg lakes and the baltic sea have there own appeal -or at distant tropic destinations. Not only your equipment needs to be in good shape. The regular “diving fitness – check up” is strongly recommended. Dr. Olsen got his education in diving medicine by Dr. Faesecke Hamburg. One of the most experienced german doctors in diving medicine. 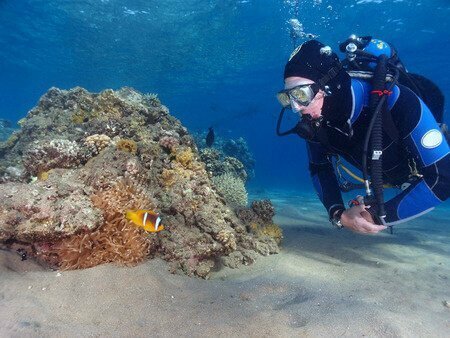 He can provide you with the necessary examination for recreational scuba diving. 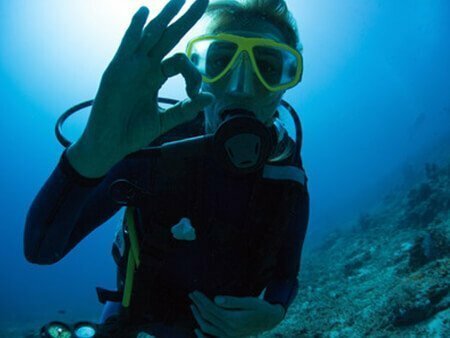 We recommend a specific diving insurance e.g. Divers Alert Network DAN oder Aquamed.